Mālama means to take care of, tend, protect, save, and maintain. It’s a value intrinsic to Hawai’i’s culture and alludes to a greater responsibility we all have during our time on Earth. 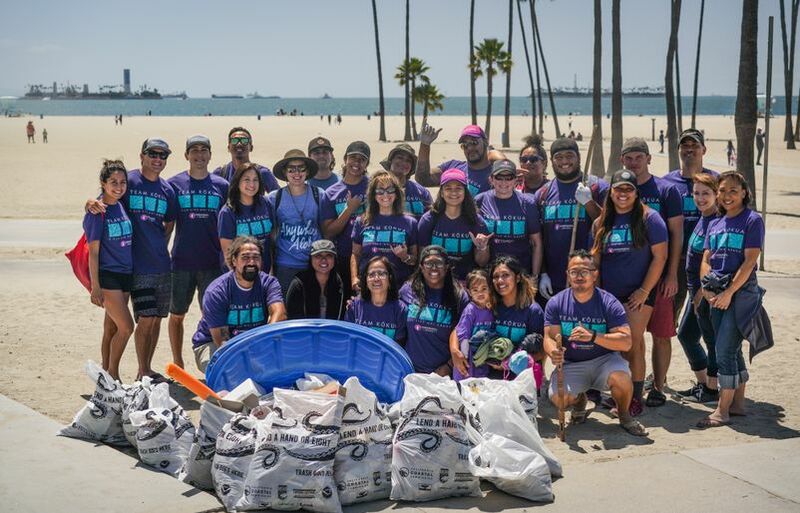 At Hawaiian Airlines, caring for our island home is a core value that drives us to adopt eco-friendlier practices throughout our company. Our ongoing commitment to reduce our carbon footprint has led to impactful, company- and community-wide initiatives. 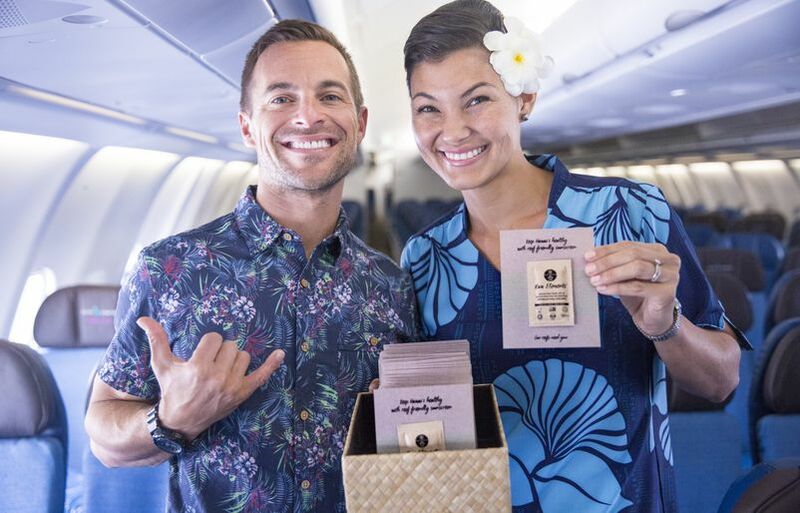 Take a look at some highlights from our recent environmental endeavors that are making flying to Hawai’i even greener. In conjunction with the POW! WOW! 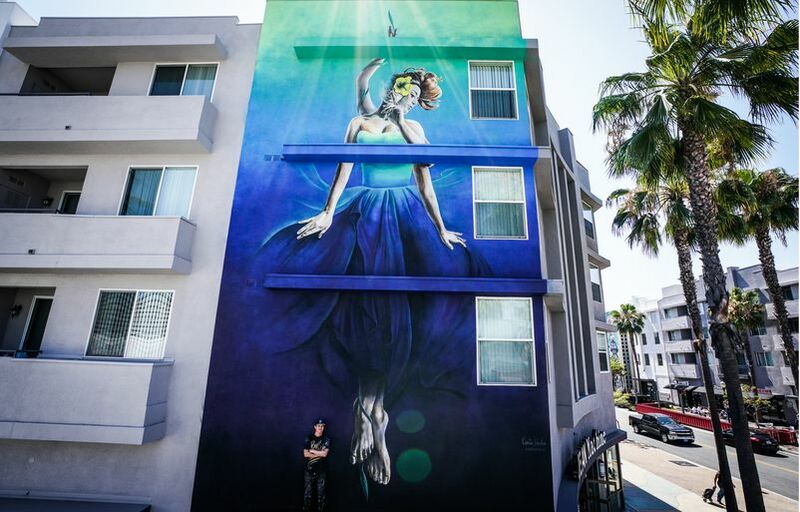 Long Beach 2018 festival, we commissioned the live painting of our first large-scale mural created by renowned local street artist Kamea Hadar. The piece tells a story of sustainability and the importance of protecting natural resources, drawing inspiration from the flow of water and the role it plays in giving life. The mural is the first artwork to be unveiled in a series of upcoming sponsored pieces called “Mālama ‘Āina” (to care for the land). 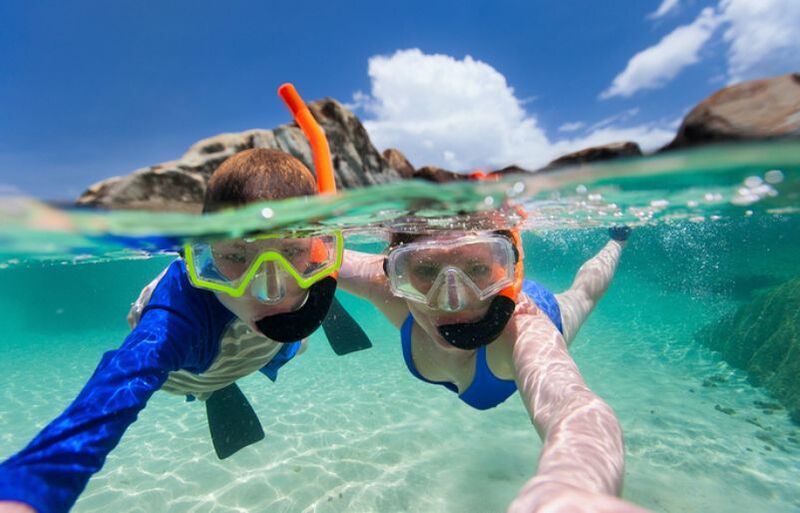 Check out Raw Elements USA founder and CEO’s top tips on being an eco-traveler. 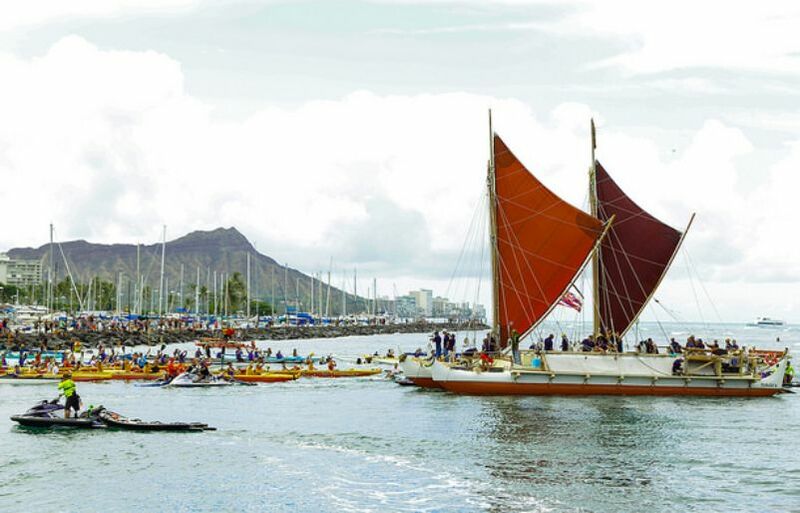 Hawaiian Airlines is a proud sponsor of The Mālama Honua Worldwide Voyage, a global initiative that involved 200-plus crewmembers who sailed Hōkūle‘a and its sister canoe Hikianalia using Polynesian wayfinding navigation as they engage communities with the goal of inspiring action to care for “Island” Earth. Throughout the epic three-year voyage, we provided more than 32 million air miles for crew and cargo throughout an expansive route network in addition to monetary contributions to the Polynesian Voyaging Society. 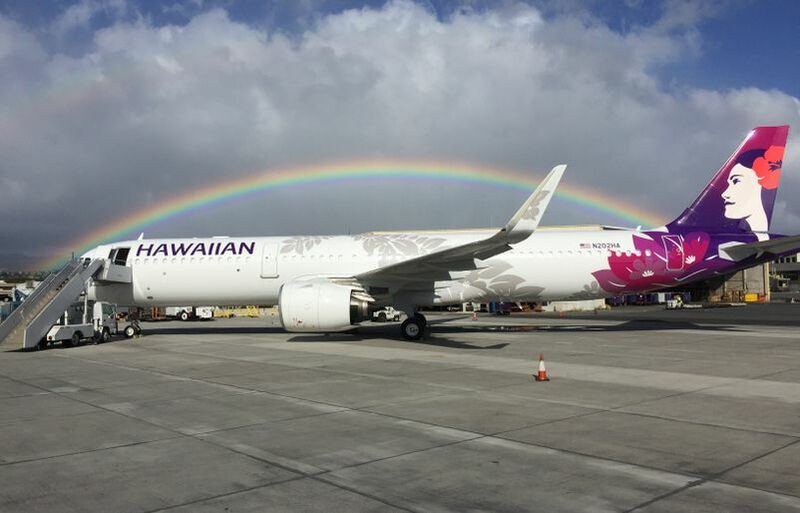 In 2017, Hawaiian Airlines partnered with the In-service Aircraft for a Global Observing System (IAGOS) project to measure climate change and air quality on a global scale. 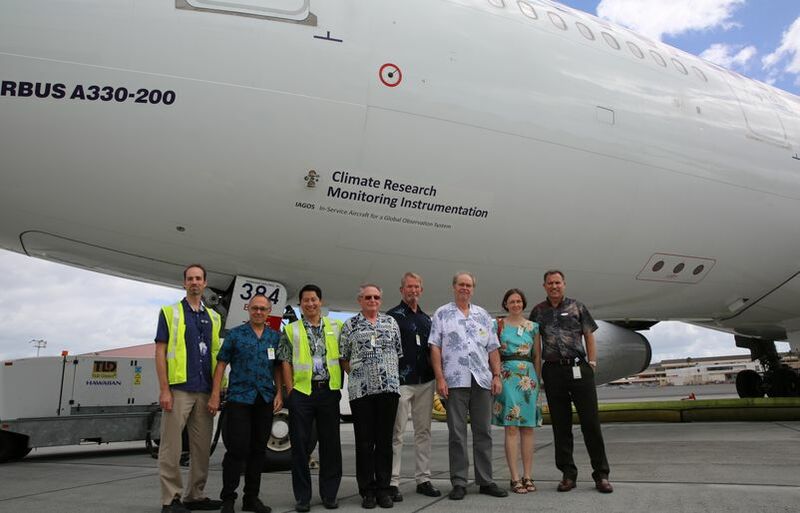 Guests who fly on our A330 aircraft, bearing registration N384HA, become part of a unique research initiative that gives scientists real-time access to large areas throughout the Pacific region where sample collection has been difficult. The IAGOS system is located under the aircraft’s cockpit and attached to probes in the front-left fuselage that autonomously performs atmospheric air samples from take-off to landing and records key high-altitude greenhouse gas measurements. It also retrieves information about icing conditions that may be useful in aircraft safety studies. Our fleet of A321neos boast an innovative model that is touted for its quiet engine, the Pratt & Whitney PurePower® Geared Turbofan, and boasts a greener, more aerodynamic build than its predecessors. In the end, we’re able to reduce our company’s fuel consumption and carbon emissions on a single flight by 16 percent compared to previous generation aircraft. As we look to our future, we are excited to soon welcome a new fleet of Boeing 787-9 Dreamliners that use 20 percent less fuel than previous generation aircraft thanks to an innovative composite airframe and advanced technology. Read our recent blog post on the A321neo and why it’s the perfect aircraft for our West Coast market. Last year, we announced our commitment to reducing out reliance on jet fuel to power aircraft at the gate. Our initiative to connect parked aircraft to more efficient external electricity is significantly reducing pilots’ use of the onboard auxiliary power unit, or APU, which burns jet fuel to keep lights, avionics systems, air conditioning and other equipment on. 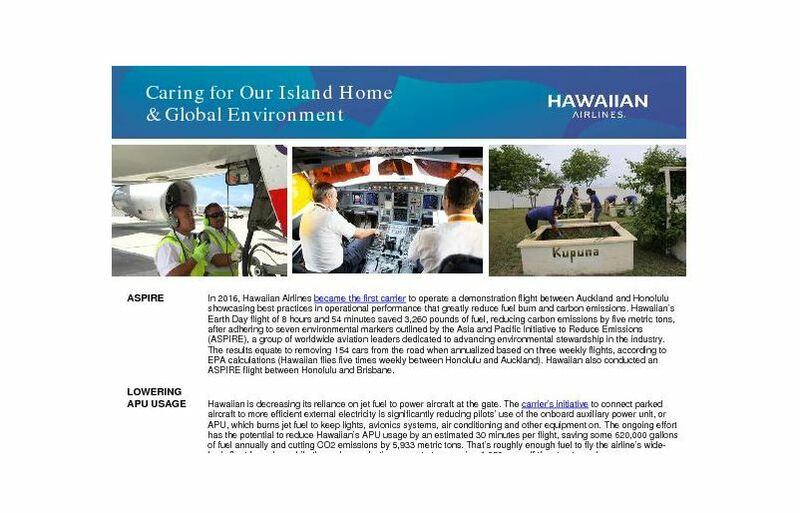 The ongoing effort has the potential to reduce Hawaiian’s APU usage by an estimated 30 minutes per flight, saving some 620,000 gallons of fuel annually and cutting CO2 emissions by 5,933 metric tons. That’s roughly enough fuel to fly the airline’s wide-body fleet for a day, while the carbon reductions equate to removing 1,253 cars off the streets each year.